Maui golf caters to lifetime memories and majestic landscapes, so it’s no wonder that Maui is the home to some of the world’s most prestigious golf events. For golfers of all levels, each course is unique with unforgettable and breathtaking views and of course there’s the bragging right of playing some of the most renowned courses in the world. With seven courses on the island, there’s a course to meet just about every level and budget. 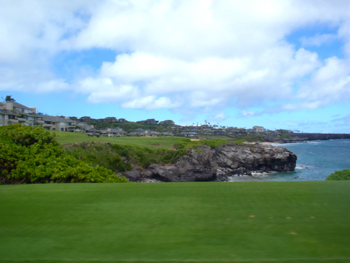 We’ll begin with the North West tip of Maui in the area known as Kapalua. Kapalua Resort was once the home to three courses however one, the Village, has now been turned into an amazing walking trail which we will focus on in a later post. Here we’ll share about The Plantation Course and The Bay Course. The Plantation Course is the home of the televised Hyundai Tournament of Champions which takes place each January. This tournament kicks-off the PGA Tour season and attracts some of the best talent in the game. The field is restricted to golfers who won a tournament on the tour during the previous season. The Plantation Course is a par-73 course with 7,411 yards of beauty and challenges. Regardless of your level, this course is one to put on the bucket list. 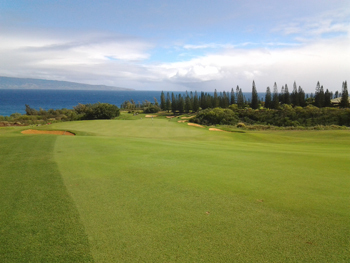 The Bay Course which cuddles some of the Kapalua coastline is enjoyable and gorgeous in its own right. Ranked #18 Best Public Golf Courses in Hawaii by Golf Magazine, the Bay Course is a 6,600-yard par-72 course that was designed by Arnold Palmer and Francis Duane. Ka’anapali Golf Courses also located on the West side of Maui, within the Ka’anapali Beach Resort, is home to two courses, The Royal Ka’anapali and the Kai Course. The Royal Course was designed by Robert Trent Jones Sr. and is a 6,700-yard par-71. It hosted the Champions Tour Ka’anapali Classic for 14 years, the Canada Cup, and LPGA Kemper Open to name a few. Here you can enjoy views of the West Maui Mountains and the Ka’anapali Coastline. The Kai Course has hosted the Wendy’s Champion Skins Game as well as Golf Channel’s “Big Break Ka’anapali.” This 6,400-yard, par-70 course was recently enhanced and features distinctive fairways with thought-out bunker placements. At the south end of Maui you will find another great golf destination within Wailea Resort. The Wailea Golf Club, whose championship Gold, Emerald and Blue courses are known for ideal weather conditions and serene ocean views. Wailea Emerald course has been known for as a female friendly course but it’s a great course for all players. This course is perfect for those that enjoy golf as a recreation rather than a test of abilities. The Wailea Blue course was designed by Arthur Jack Snyder and boasts picturesque fairways and inviting views of neighbor islands. The Wailea Gold course is a true gem with rugged design that works around the natural terrain. Created by architect Robert Trent Jones II, Conde Nast Traveler readers have hailed this course as being one of the world’s best designed courses. Located centrally in the valley of “the valley isle,” the Dunes at Maui Lani, was designed by Robin Nelson with a 6,841-yard and par 72 course. 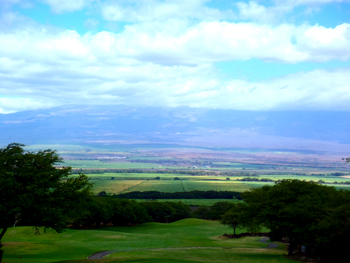 With views of the valley and Pacific golfers get a peak into the heart of central Maui. 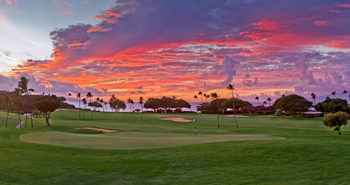 Kahili Golf Course is best known for its value. Located at the Foothill of the West Maui Mountains facing south Maui and Haleakala, the 6570-yard 72-par was designed by Robin Nelson and Rodney Wright. This is a popular local course and is host to numerous Maui and state-wide tournaments. Located up country on the North West facing side of Haleakala, Pukalani County Club offers affordable panoramic views of Maui. Designed by Bob Baldock, this course is 6,962 yards and a par 72. Maui County’s Waiehu Golf Course located between Waihe’e and Waiehu, near Wailuku. 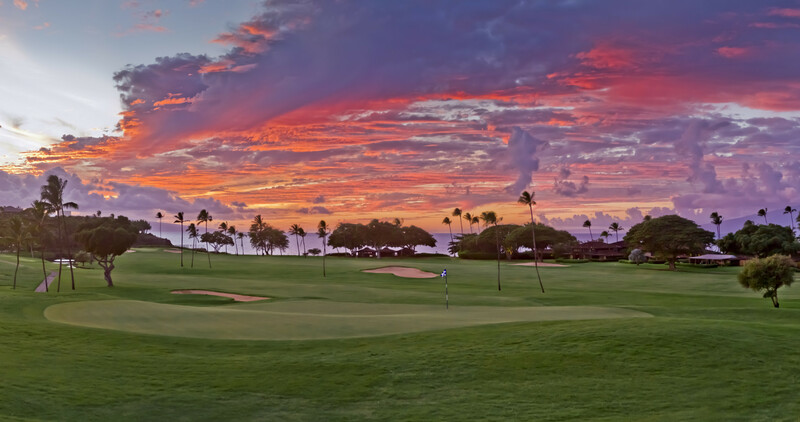 This county golf course shares beachfront with Waiehu Beach Park and is a popular and extremely affordable course frequented by locals with regular leagues holding events there. This 18 hole course with 6,330 yards is open to visitors. 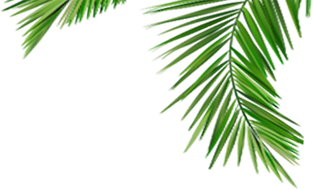 With all these options Maui golf is attainable for all visitors to make memories. So, which course will you play?